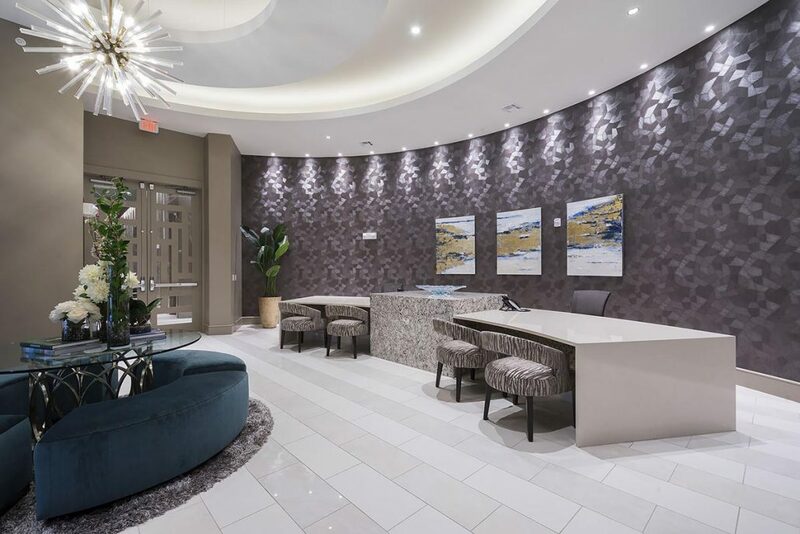 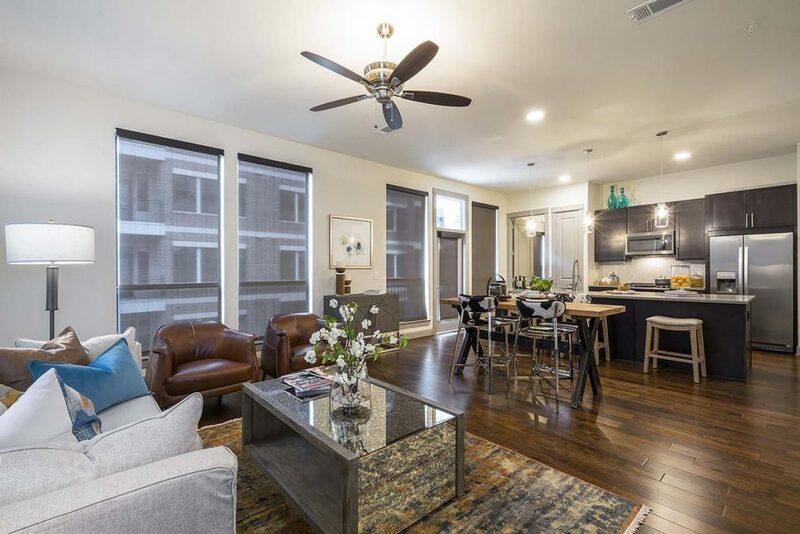 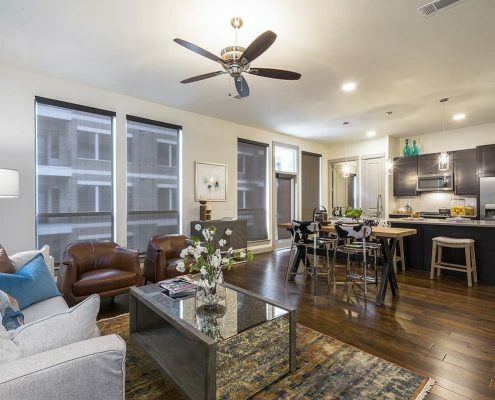 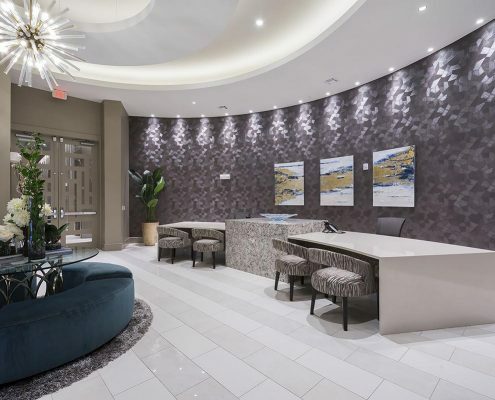 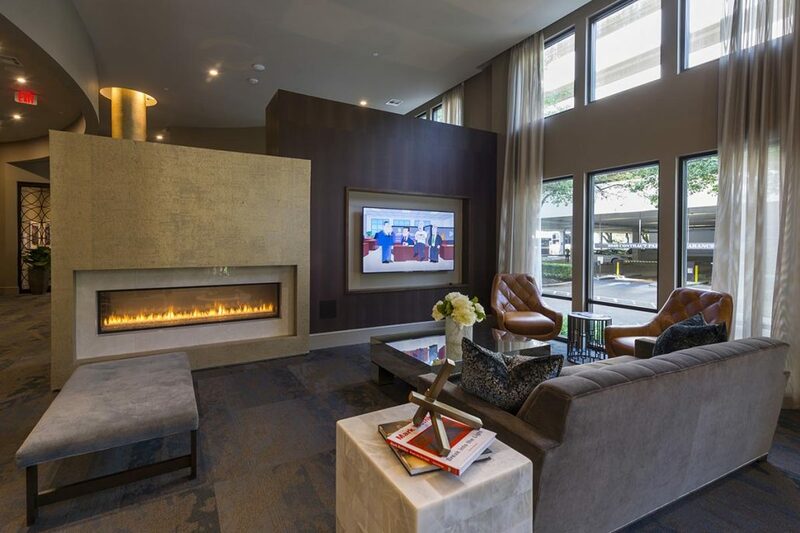 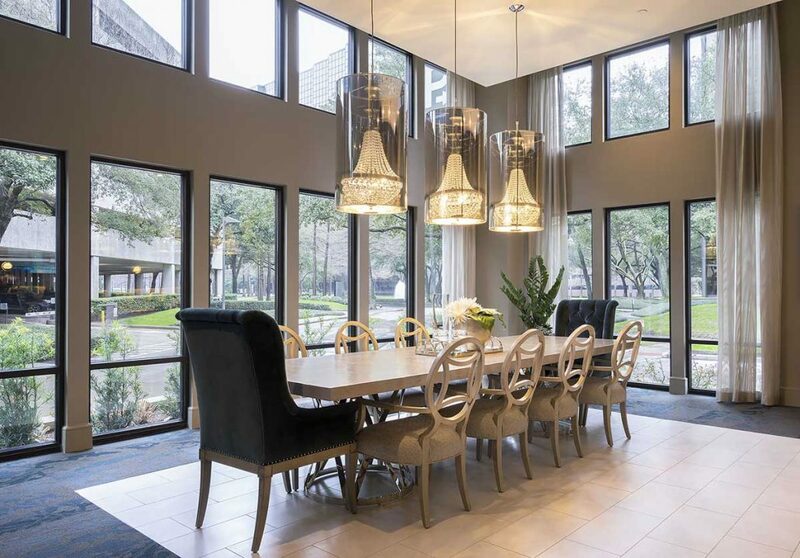 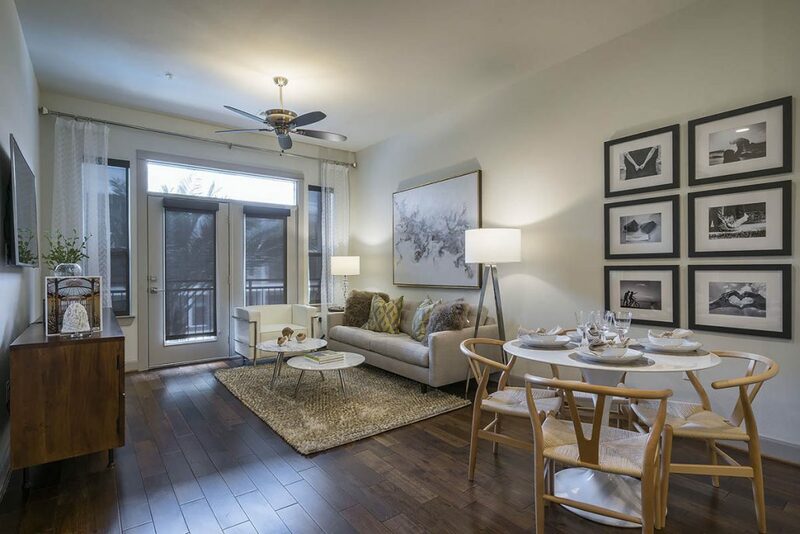 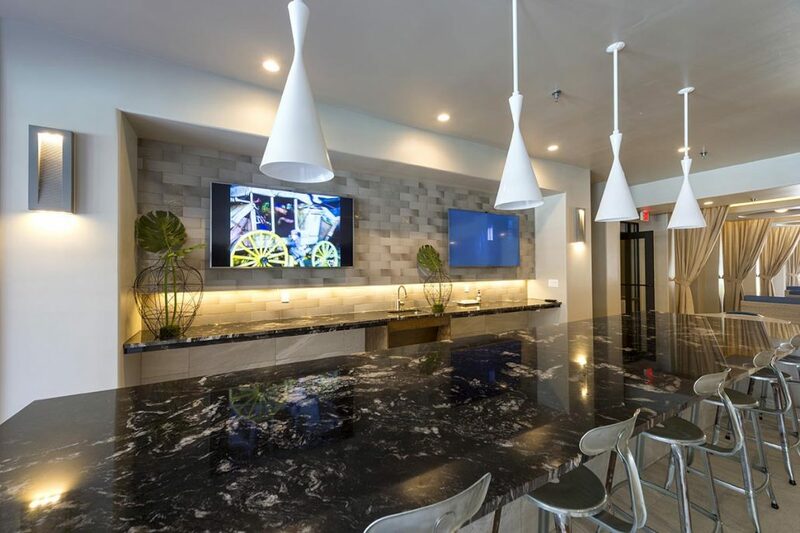 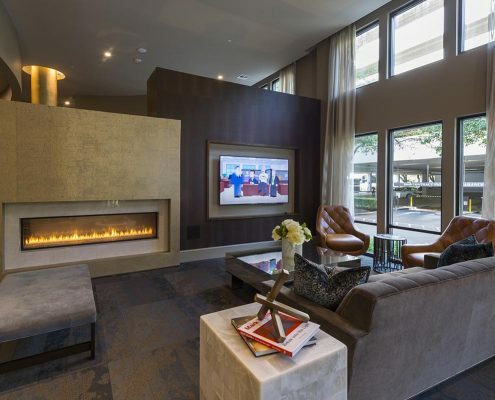 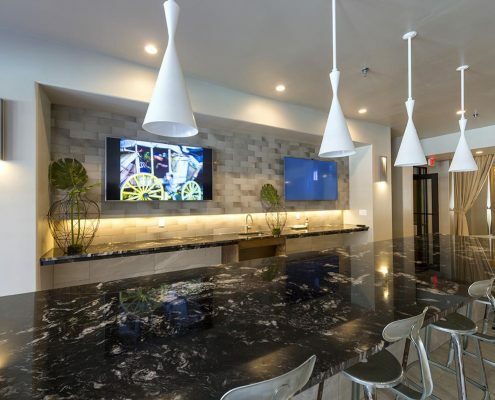 Located in Houston’s Uptown District, Alexan 5151 offers sophisticated living for young professionals to empty nesters. 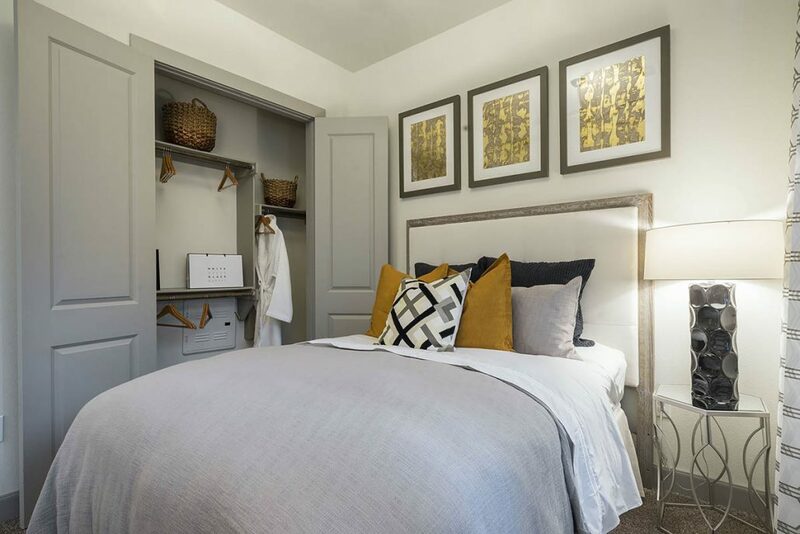 Bright, voluminous spaces are balanced with rich paint colors and deep wood tones. 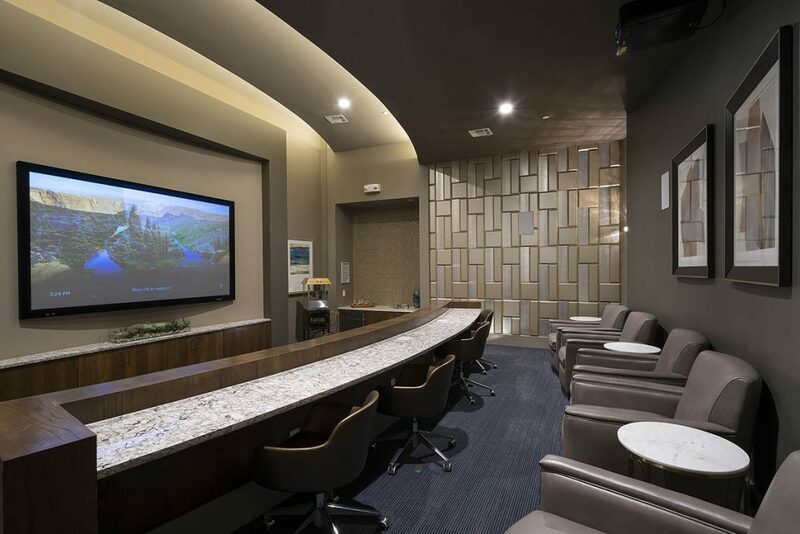 The partial height wall dividing the clubroom allows natural light to emit between spaces. 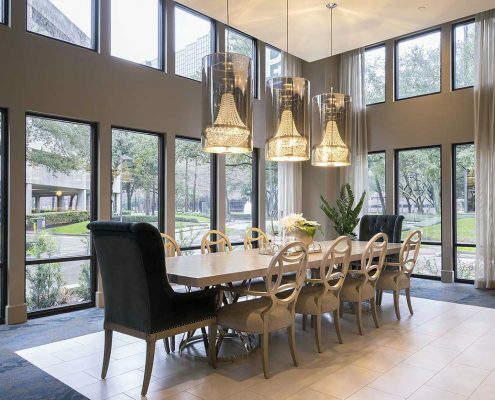 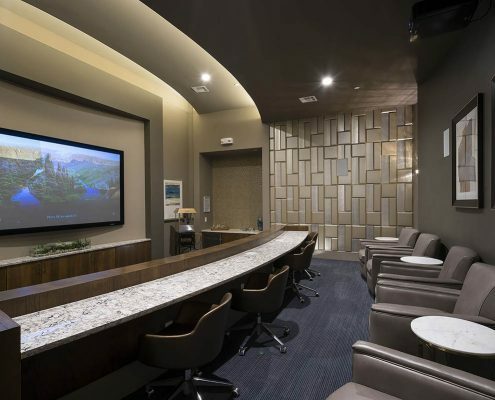 A simple dining space offers a sense of enchantment while the theater provides a cozy place to enjoy a movie. 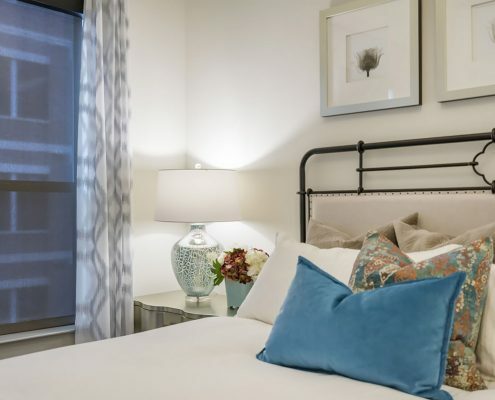 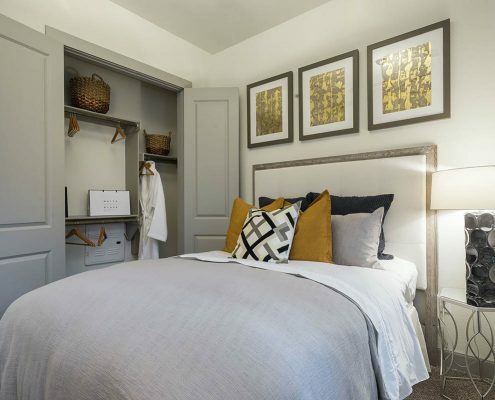 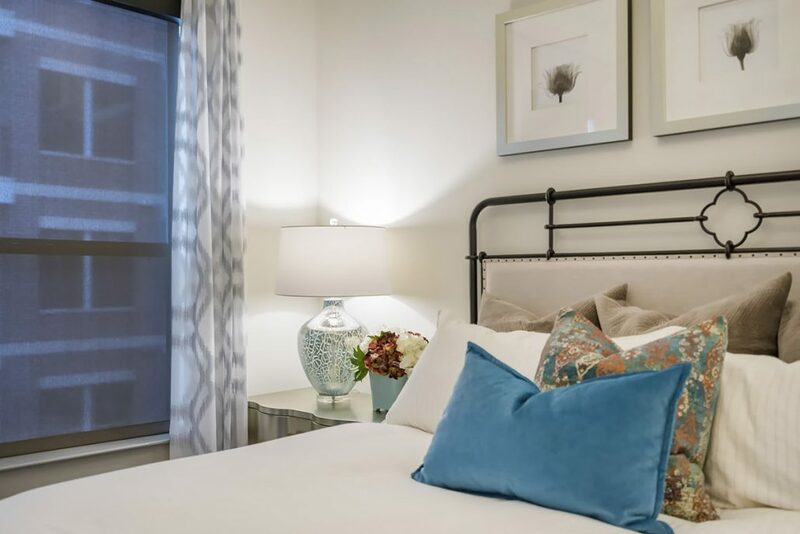 One model unit features simple, timeless furnishings paired with a soft, neutral color palette. 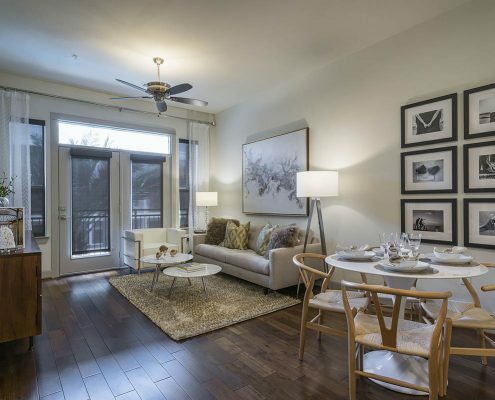 The second model unit showcases a few eclectic pieces – a mirrored cocktail table and cowhide stools – that play up a fun, entertaining lifestyle.